The final book of Jenice Armstead’s first business series is finally here. Pep Talks: Answering the Hard Questions is the final book of a 5 part book interactive business series. This final book of the series addresses the “Hard Questions” interviewees may be asked during an interview. 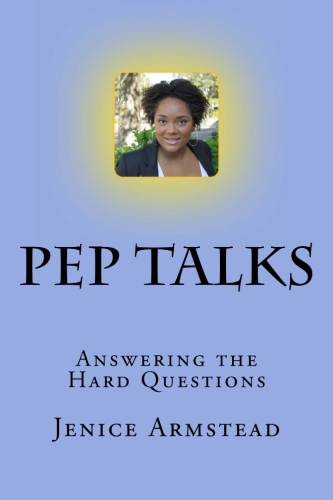 The Pep Talks book series clarifies difficult interview questions as the reader focuses on their goals. This business series gets the reader moving in the right direction, and saves the reader time and efforts, with helping the reader narrow down what areas they may need assistance with the most. The series addresses all types of difficult interview questions that may be asked of the reader during an interview or during a conversation being had by an interviewer. The Pep Talks Book Series can serve the newly looking or the long-term job seeker with methods that will assist with the career search and provide motivation for future endeavors.